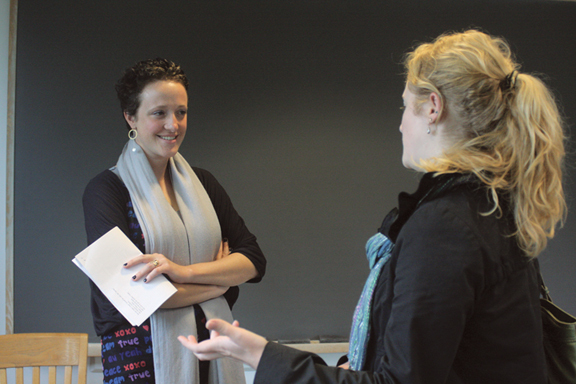 After giving a campus reading in April, Keetje Kuipers ’02 (left) spoke with Suzanne Winter ’10 during a visit to Nathalie Anderson’s creative writing workshop. A theater major at Swarthmore, she received an M.F.A. from the University of Oregon and has received fellowships from the Vermont Studio Center, Squaw Valley Community of Writers, Oregon Literary Arts, and Soapstone as well as awards from Atlanta Review and Nimrod. In 2007, she was a recipient of the Margery Davis Boyden Wilderness Writing Residency, which allowed her seven months of solitude in Oregon’s Rogue River Valley. She is currently a Wallace Stegner Fellow at Stanford. Keetje Kuipers’ Beautiful in the Mouth begins in sensuality. Its first line reads, “At night his long body works above me….” Some 30 pages later, a regretfully lover-less persona confides, “No one // was coming to give me what I / needed, but I lay down and waited / anyway, the air hovering, // as always, just above me.” The imagistic echo here—his body working, the air hovering / at night, as always / just above me—makes us sharply aware of the constant slippage in this book between actual and imagined experience, between presence and absence, between the physical and the metaphysical. Who, after all, is that “he” in the first poem, where slippery syntax merges him into the “hours” that “[craft] the landscape out of midnight’s cloth, / [pull] Stockholm from behind the moon”? How, in fact, does his magically metamorphic presence differ from the hovering air, the “semiprecious light,” the putative deity perceptible only through such blessings? Kuipers’ images so often glitter like this, half exquisite, half knife-edged. “I have tried to forget your light,” she writes to her lover and to his city simultaneously, “the way it breaks / me open.” That line-break shifting of the image from dawn to damage, from insight to ravishment, exemplifies Kuipers’ characteristic strategies. “Waltz of the Midnight Miscarriage” describes the child’s heart as “undone from my own heart’s beating,” the mother’s heartbeat occluding the child’s, the “beating” reciprocally punitive as the beating I deal out, the beating I suffer. Thus, in “Proper Etiquette on a Spirit’s Return,” the soldier returning has to be reminded that he’s still living; while in “My First Lover Returns from Iraq,” the woman speaking has to be told that he’s dead. Which man—which state—is which? Are they simultaneous and identical? In “Blackfoot River,” Kuipers evokes “the unspeakable spoken and spoken,” and that line in many ways delineates her project. These poems do not shrink or shirk. They iterate and re-iterate; they bring to light and into words the dark desire, the shadowy regret, the hidden guilt. And I do mean “bring to light”: that line from “Blackfoot River” goes on, “the unspeakable spoken and spoken until it becomes / lost in the bright keening of the stars,” acknowledging our own pain as simultaneously sharply felt and subsumed into a larger glittering glory. That poem ends, “It must be criminal / the way I stand around and watch.” If this is criminality, see how it nevertheless delights in our shared complicity. 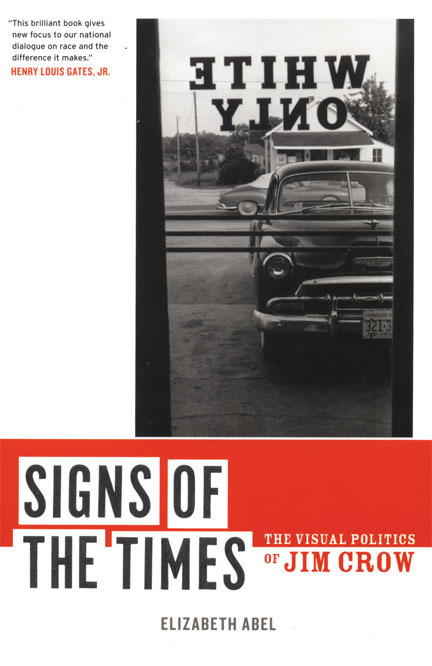 Elizabeth Abel ’67, Signs of the Times: The Visual Politics of Jim Crow, University of California Press, 2010. This book traces the life of Jim Crow signs from their intellectual and political origins in the second half of the 19th century through their dismantling by civil rights activists in the 1960s and 1970s. David Andrews ’82, Keynes and the British Humanist Tradition: The Moral Purpose of the Market, Routledge, 2010. The author examines the philosophy of John Maynard Keynes from a new perspective that focuses on Keynes's studies as an undergraduate. 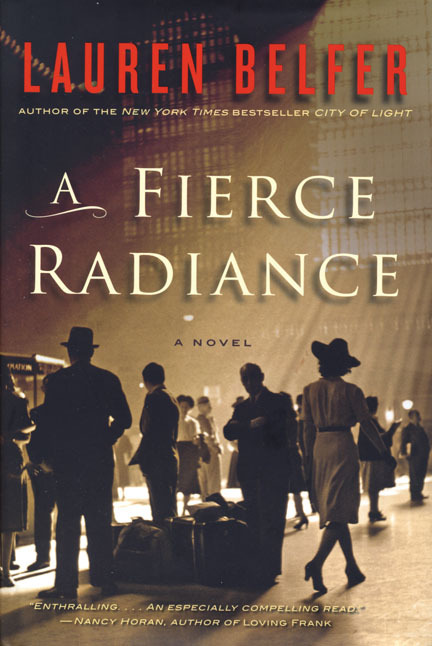 Lauren Belfer ’75, A Fierce Radiance, Harper, 2010. This novel follows Claire Shipley, a photojournalist and divorced single mother, as she tracks a secret project to develop a miracle drug known as penicillin. 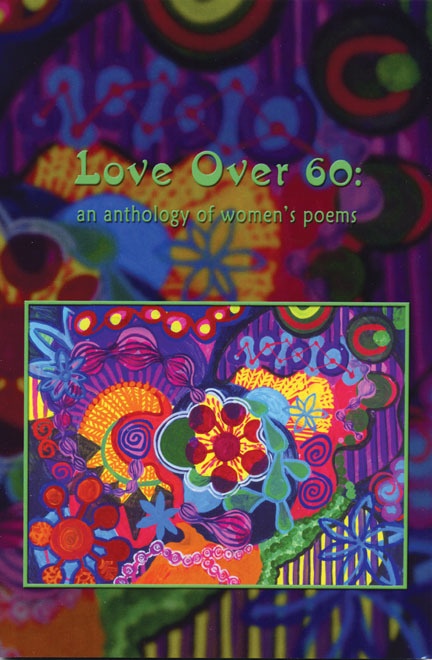 Robin Chapman ’64 and Jeri McCormick (editors), Love Over 60: An Anthology of Women’s Poems, Mayapple Press, 2010. This anthology contains work from more than 80 women poets, curated in a discourse on love by the editors. Shelley Fisher Fishkin ’71 (editor), The Mark Twain Anthology: Great Writers on His Life and Works, The Library of America, 2010. This volume collates some of the greatest essays on the life of Mark Twain, including Twain’s contemporaries and modern scholars. 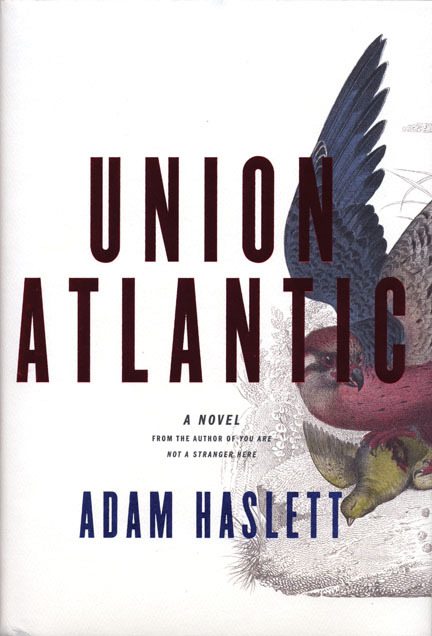 Adam Haslett ’92, Union Atlantic, Doubleday, 2009. This novel, the author’s second book, imagines a contest between a banker, a willful retired history teacher, and a regulatory giant in the first decade of the 21st century. Avram H. Mack, Amy Harrington ’99, and Richard J. Frances, Clinical Manual for Treatment of Alcoholism and Addictions, American Psychiatric Publishing, Inc., 2010. This book provides a concise overview of addiction treatment issues relevant to clinicians caring for patients with substance abuse disorders and addictions. Marc Elihu Hofstadter ’67, Rising at 5 AM, Latitude Press, 2010. This collection of poems traces the author’s lived experience and identity development as a poet, Jew, and gay man. The tone is introspective yet at the same time carefree. Susan Inman ’71, After Her Brain Broke: Helping My Daughter Recover Her Sanity, Bridgeross Communications, 2010. The author documents her daughter’s experience of mental illness and the ways in which her family members coped and cared for one another. Catherine Lutz ’74 and Anne Lutz Fernandez, Carjacked, Palgrave MacMillan, 2010. The authors reveal the costs of modern society's auto obsession and discuss a cheaper, greener, and healthier relationship with our cars. David Ochroch ’81, A Guide to Negotiating Better Software License Agreements, ECPweb.com, 2007. The author discusses the intricacies of software licenses and details important considerations when negotiating a new license. Jeffrey Olick ’86 and Andrew Perrin ’93 (editors and translators), Theodor W. Adorno, Guilt and Defense: On the Legacies of National Socialism in Postwar Germany, Harvard University Press, 2010. This new translation of Theodor W. Adorno’s 1949 work at the Frankfurt Institute for Social Research provides valuable insight into the opinions of the German population in postwar Germany. Clyde Prestowitz ’63, The Betrayal of American Prosperity: Free Market Delusions, America’s Decline, and How We Must Compete in the Post-Dollar Era, Free Press, 2010. The author reveals the astonishing extent of the erosion of the fundamental pillars of America’s might and the challenges the United States faces in competing with China and other fast-rising economies. Ralph Lee Smith ’51, Appalachian Dulcimer Traditions, The Scarecrow Press Inc., 2010. The author traces the history of mountain dulcimers from Renaissance Germany to the American South, describing the craftsmen who make them, the music, and the instrument itself. Joanna Stalnaker ’92, The Unfinished Enlightenment: Description in the Age of the Encyclopedia, Cornell University Press, 2010. The author uncovers the literary and epistemological tensions that made description a central preoccupation for French Enlightenment authors. Gary Albright ’75, Klassics 4 Kids, Albright Graphic Productions, 2010. This CD contains a collection of classic children’s stories adapted for musical performance, including The Three Billy Goats Gruff and Aesop’s The Golden Ax.